Isis announced that Chase, Capital One and Barclaycard have entered into agreements with Isis enabling their credit, debit and prepaid cards to be placed into the Isis Mobile Wallet. Starting in mid-2012, consumers will be able to load their eligible Chase, Capital One and Barclaycard cards into their Isis Mobile Wallet and shop at participating merchants, starting with locations across Salt Lake City and Austin, Texas. The Isis Mobile Wallet will provide consumers with a convenient and secure way to pay, redeem coupons and present loyalty credentials, all with the tap of their phone. Chase, Capital One and Barclaycard will tailor their cardholder service experience within the Isis Mobile Wallet to reflect their respective brands and ensure a seamless and secure experience across physical cards and mobile platforms. Last July, Isis announced relationships with the top four U.S. payment networks: Visa, MasterCard, Discover and American Express. Isis’ relationship with the four U.S. payment networks provides banks with the freedom to enable any major network payment card and provide consumers with ubiquity and freedom of choice when deciding which of those cards to load into their Isis Mobile Wallet. 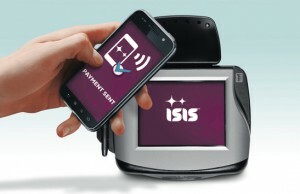 The Isis Mobile Wallet will initially launch in Salt Lake City and Austin in mid-2012 and is planning a national rollout to follow.